Today, a different kind of blog post – a book review! 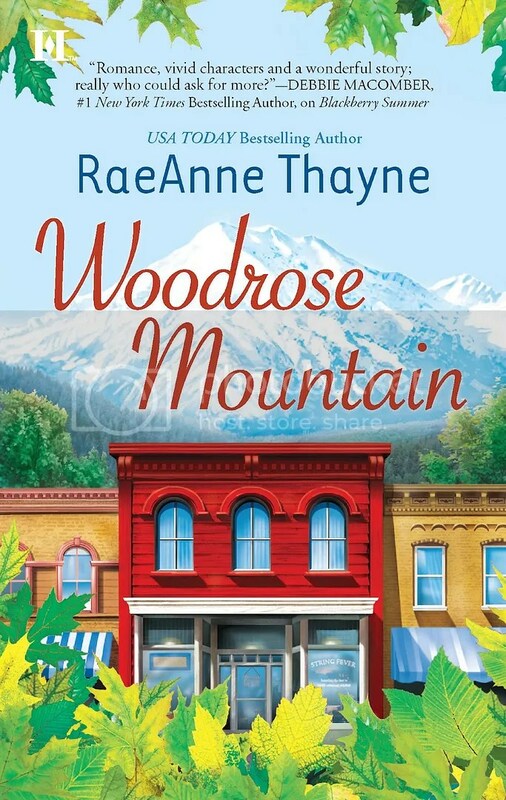 I don’t usually have much time for reading because I’m always busy beading, but Woodrose Mountain by RaeAnne Thayne sounded like a book I had to read. An emotional year caused Evie Blanchard to walk away from her busy life in Los Angeles where she worked as a physical therapist. In desperate need of change, she moved to a quiet Colorado town called Hope’s Crossing where she began working at a bead shop. There she met a man named Brodie and his daughter Taryn, who had been seriously wounded in a car crash. Against her better judgment, Evie agreed to help Taryn begin an extensive rehabilitation program, which included going to the bead shop and making bracelets. Still recovering from the shadows of her past, Evie tried not to get emotionally involved, but Brodie & Taryn tugged at her heart and in the end, she couldn’t help but to fall for both of them..
Woodrose Mountain is a story about healing, recovery, and second chances – a story which I could relate to in my own personal way. Coincidentally, I have experienced an emotional year myself – mourning the loss of a friend who died of skin cancer while suffering excruciating heartbreak and the loss of a best friend at the same time. For many months, I have felt emotionally shut down, just going through the motions at my day job in the theatre, riding home on the bus with tears streaming down my face. Beading has been my only solace through it all. So, like Evie, I have decided to change the direction of my life entirely. If all goes well, I will soon be moving back home to Pennsylvania to be closer to family and lifelong friends who I have missed so much. I have asked my sister if she would like to work with me as my Etsy business grows. Who knows, maybe I will teach classes at the bead shop, too.. Perhaps I will find my own Hope’s Crossing. A new place to begin again..
*Please note: I have received the above book free of charge. This is my honest review of the product and I have not been paid for my endorsement as it pertains to the products received. Robert Plant says “remember that” on one of the live shows we have on DVD. The quote is from “Stairway To Heaven”, of course. I am wishing you all the luck of the world for your new plans!